“.zip FUTURE RHAPSODY | XIAOMI · FUTURE OF TODAY” make its grand opening on the 15th of July and will be held in Building No.1, Today Art Museum. At the press conference, Gao Peng, director of Today Art Museum, Li Wanqiang, co-founder of XIAOMI, Huang Du, an international curator, Philipp Ziegler, curation director of German ZKM Media and Art Center, Charles Lindsay, director of SETI A.I.R. Program, Wu Juehui, a curator, Yan Yan, deputy director of exhibition and academy of Today Art Museum among other guests will introduce the background and theme of the exhibition from different angles. The concept of “FUTURE OF TODAY ", launched by Today Art Museum in 2015, aims to explore the most pioneering and futuristic concept of museum space, which represents an experimental discussion of physical art galleries, virtual reality and future art forms. The project of "Future of Today: Imaginary Future" in 2015 won a high degree of attention. In July 2017, Today Art Museum will again present "Today Art Museum • Future Museum ", and work together with XIAOMI mobile phone to enrich the concept of the future museums, introducing a brand-new exhibition combining black technology and art as a whole, upgrading the exhibition with interactive experience. .ZIP FUTURE RHAPSODY | XIAOMI · FUTURE OF TODAY is launched by the director of Today Art Museum, Gao Peng, sculptor Sui Jianguo, architect Wang Hui, and the co-founder of XIAOMI Li Wanqiang, with international curator Huang Du and the director of curatorial department of ZKM Media and Art Center, Philipp Ziegler, as academic advisors, renowned artist Wu Juehui and the deputy director of Today Art Museum, Yan Yan, as curators, and Charles Lindsay, director of US SETI A.I.R. Program as international nominator. At the same time, the exhibition also invited an array of new media artists both form and outside of the country including the renown French artist Claude Lévêque, American artists Catherine Chalmers and Charles Lindsay, Turkish artist Refik Anadol, and Chinese artists Feng Mengbo, Guo Ruiwen, Hong Qile, and Wang Zhipeng, etc. The exhibition includes installations, experimental music, audio-visual arts, and interactive works, fully utilizing the space to establish interaction with the viewers, further encouraging the viewers to reflect upon the real world from a new point of view. On the other hand, the exhibition also utilizes latest technology including virtual reality, augmented reality and other virtual technologies. Enjoying a strong technology lineup, the show provided many artists' their first large scale digital projections. In this XIAOMI · FUTURE OF TODAY exhibition, the curators has weaved works of different artists into a brand-new exhibition. The theme “.zip”extends its meaning from the literal notion of compression and decompression into an understanding of the future, that various artistic expression are works of different dimensions emerged from the “big bang”; the future shall be exempt from the constraints of time and space; it cannot and should not be defined. FUTURE OF TODAY compresses these works together like a black hole in the universe. The immersive experience provided by the works functions as an externalized carrier (of visual, auditory, tactile, olfactory, gustatory sensation, etc.) of individual and collective imagination. The works in this exhibition will keep breaking and reshaping our perception of time and space through experiences of different sensations. The audience will be immersed in an imaginary space, engaging in the decompression process of zip files. Curator Wu Juehui said that "the expansion of the universe is like a continuous decompression process, with new formats emerging from time to time, and old ones fading away. In the digital universe, formats are the suffixes of all things, including humans themselves. Within the large format system, everyone is assigned a format, .txt .jpg .ppt .exe or just a bug. We are subjected to the formatting process when we are applying it on everything else. If human beings were to become immortal, our consciousness must have also been stored in a certain format. Formats determine the dimensions of imagination and the expressions of language. It almost seems like all the efforts has to be converted into some formats before they are valid. “FUTURE OF TODAY” itself focuses more on interactions with the audience. This exhibition hopes to release the expression formats of various arts in the exhibition through the audiences’participation. The immersive experience, auditory and visual feast, cross-media interaction, the artistic processing of information, virtual and realistic overlap, human-machine interaction, all different types of new media artworks will take the audience into a refreshing visual experience: various expression formats of art will encourage people to think about the existence and future of different dimensions. Today Art Museum once again allows the audience to open up their imagination to the future. 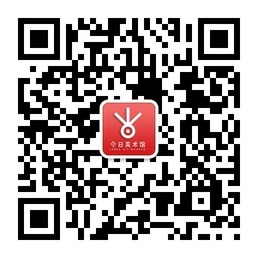 Moreover, during the experience in the exhibition, there will be regularly launched activities. In order to facilitate more people to visit the exhibition, it opens till 9:00pm every Friday and Saturday. The exhibition is expected to last until September 16th. Please look forward to it.